There’s a lot of heart behind the work of the Madison Rotary Foundation. 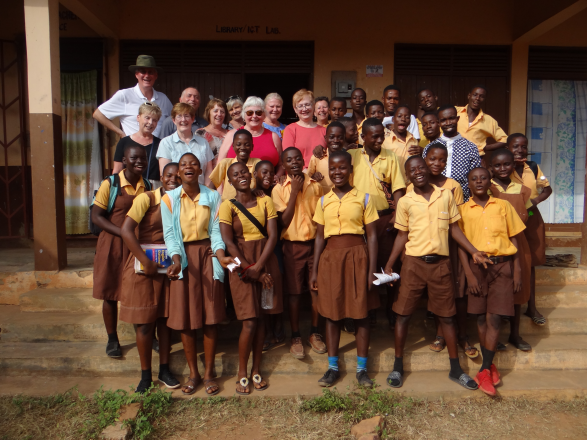 By applying its leadership and expertise to solve social issues, the Foundation is a primary expression of service within the Rotary Club of Madison. Our Foundation was formed in 1932 and has assets of over $13 million. We distribute over $700,000 in grants and scholarships each year. Each year the Madison Rotary Foundation awards grants to Madison community tax-exempt organizations. Application availability is announced in October and applications are due at the end of November or early December. The Foundation’s Community Grants Committee reviews the applications and notifies agencies of their decisions in March of the following year. Here is this year’s Community Grant Application. When evaluating community grant applications, a great deal of significance is assigned to the need for the proposed services, the level of coordination that the requesting organization exhibits with others in the community with the same or allied fields of endeavor, the organization’s plans for developing sources of long-term funding support other than that from the Foundation, the reasonableness of the budget and schedules submitted and the manner in which the results of the project will be measured. Made possible by the generosity of the late Irwin and Robert Goodman, the Goodman Rotary 50+ Fitness Program is funded through an endowment managed by the Madison Rotary Foundation. The program provides healthy lifestyle instruction to over 3,000 seniors in the Madison area through the Madison School Community Recreation Program. The Madison Rotary Foundation Scholarship Program provides four-year college scholarship assistance through named scholarship funds within our Madison Rotary Foundation. 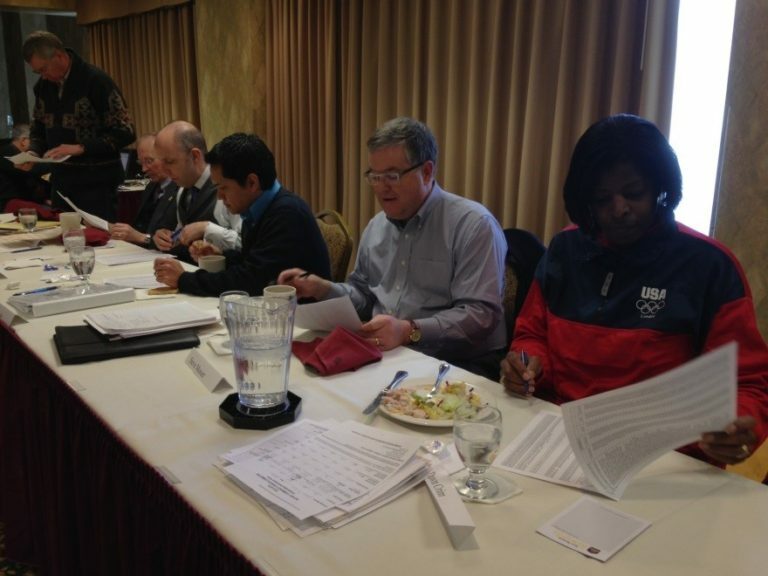 A Rotary Committee annually works to select students in accordance with the wishes of the donors. Applicants chosen are students who meet the general eligibility requirements: (1) Applicants must demonstrate definite financial need; (2) Applicants must have achieved a 3.0 and/or acceptance to an accredited four year college or university; (3) Applicants must display outstanding character and leadership ability; and (4) Applicants should evidence a deep sense of obligation to the community. The Scholarship Committee works with participating area high schools to select students for this scholarship program. The annual Youth Awards Program recognized nearly 50 Madison area high school students in the following categories: Academic Achievement, Sophomore Academic Improvement, Junior Academic Improvement, Senior Academic Improvement, Outstanding Senior, Community Service, and recognition of Community Service Award Student Judges. Each recipient receives a certificate and a monetary award provided by the club’s associated Madison Rotary Foundation. The Youth Awards Committee works with participating area high schools in the selection of recipients. In 2013, Phil and Kit Blake established an endowment fund within the Madison Rotary Foundation for area veterans. Phil understands first-hand the struggles that veterans encounter as they attend college while serving this country. Phil and Kit are helping ease the load for veterans who are getting a college degree but who are running into a short-term expense issue. The assistance helps relieve some stress and keeps students focused on their studies. The Madison Rotary Foundation Veterans Assistance Fund provides one-time grants to veterans who have served at least two years in the Air Force, Army, Coast Guard, Marine Corps, National Guard, Navy or Reserves who have been honorably discharged from active duty and who are currently attending a degree program at either Edgewood College, Madison College or UW-Madison as a full-time student. 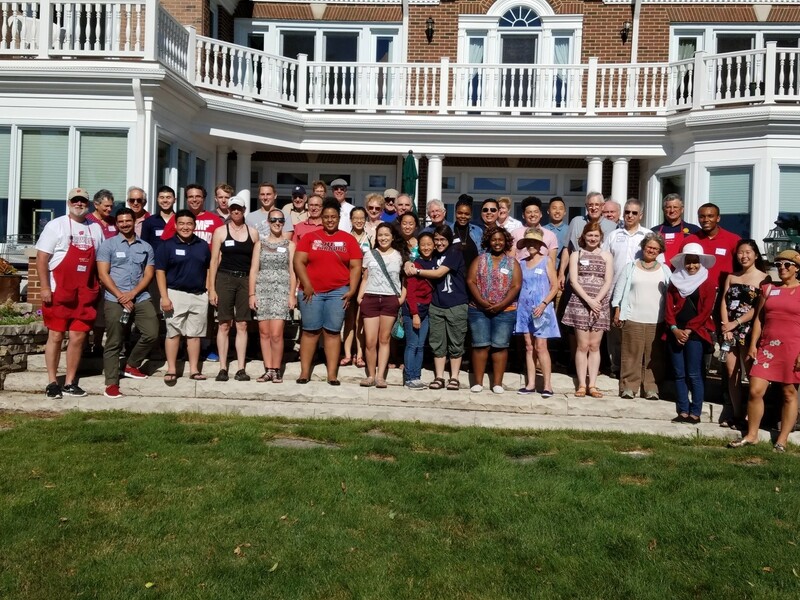 The grant program rotates annually among the three colleges, providing support for veterans attending Madison College during the 2018-19 academic year, UW-Madison during the 2019-20 academic year, and Edgewood College during the 2020-21 academic year. The grant will continue to rotate annually among the noted colleges in this same order in future years. These one-time grants are intended to cover short-term, urgent or emergency expenses that arise during college. Here is this year’s Community Veterans Assistance Fund Application. Community Grants Committee reviews over 100 applications each year. In 2018, $150,000 was awarded to community agencies. Our club provides funding for a project in Ghana called Change HERstory to educate girls and keep them in school all year. We provide college scholarship assistance to over 80 students per year.